Our White Birch with Greens Wreath is a beautiful display of natural winter elements. Next in our series explaining recent changes we’ve made to improve your shopping experience, we are very excited to tell you about new products being introduced this holiday season. 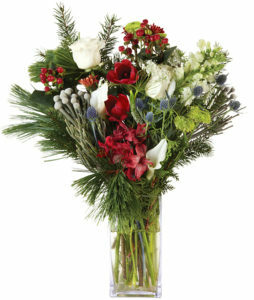 A Holiday Surprises Bouquet is a seasonal extravaganza of luxury roses, calla lilies and blue thistle. 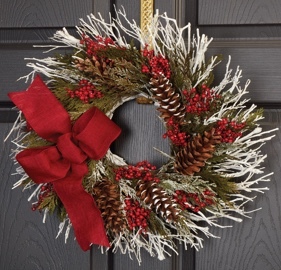 1) Wreaths and Centerpieces – Shop our distinctive White Birch with Greens Wreath, the Sleigh Ride Centerpiece or the Snowman Cedar Wreath, all of which will garner attention from your guests this holiday. 2) Bouquets – It might be a bit challenging to choose which unique design is your favorite! From the Holiday Surprises Bouquet to the Spirit of the Season Bouquet to the Holiday Splendor Bouquet, one is equally as impressive as the other. 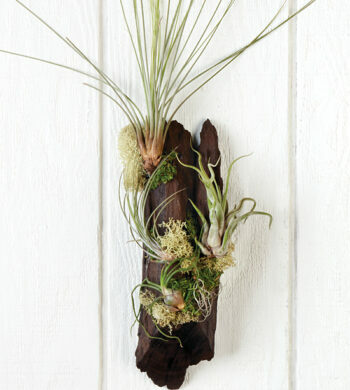 The Mystical Simplicity Air Plant has a natural wood backdrop for an eye-catching piece of home or office decor. 3) Plants – We have more interesting bonsai and selective plants this year. 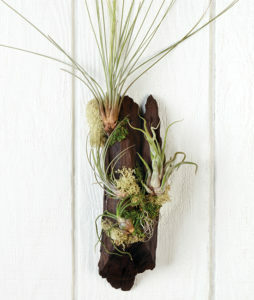 We recommend our Christmas Orchid Garden or Air Plants as examples of our unique varieties. Take a peek at our Hanging Orchids or Holiday Miracle Garden to see the exclusive charm in our diverse array of plants. We hope you enjoy the efforts we’ve made to diversify our bouquets, plants and preserved selections! While it’s important to continually innovate, it’s equally important that we provide the traditional bouquets and plants you’ve come to expect from Calyx Flowers. As a result, we hope you find something for everyone on your list at Calyx Flowers this holiday. We are so excited to ring in the holiday season and debut our newest seasonal designs with you. Next in our series, we’ll review with you our new services for this season! 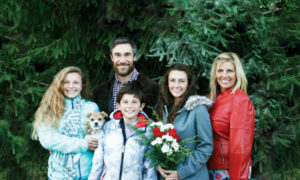 In the meantime, if you have any comments or questions, we enjoy hearing from you at customerservice@calyxflowers.com. Thank you for your business!